Set in English society before the 1832 Reform Bill, Wives and Daughters centers on the story of youthful Molly Gibson, brought up from childhood by her father. When he remarries, a new stepsister enters Mollys quiet life, the loveable but worldly and troubling Cynthia. The narrative traces the development of the two girls into womanhood within the gossiping and watchful society of Hollingford. 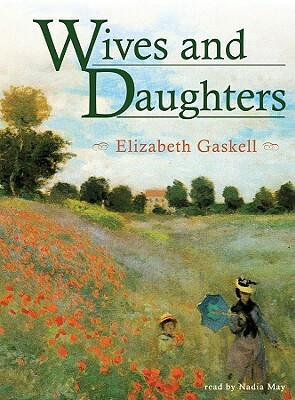 Wives and Daughters, generally thought to be Elizabeth Gaskells finest achievement, is far more than a nostalgic evocation of village life. It offers an ironic critique of mid-Victorian society with its main themes of the role of women, Darwinism, and the concept of Englishness, as well as its literary and social context. I am honored to have had the chance to introduce Wives and Daughters to modern listeners, who I hope will discover what a pearl among novels it is. Nadia May, narrator.